These adorable miniature hearts add a little bit of flair to whatever design you’re working on — attach them onto a scarf or bracelet, or use them as patterns on a quilt or sweater, and things immediately look friendly and sweet. 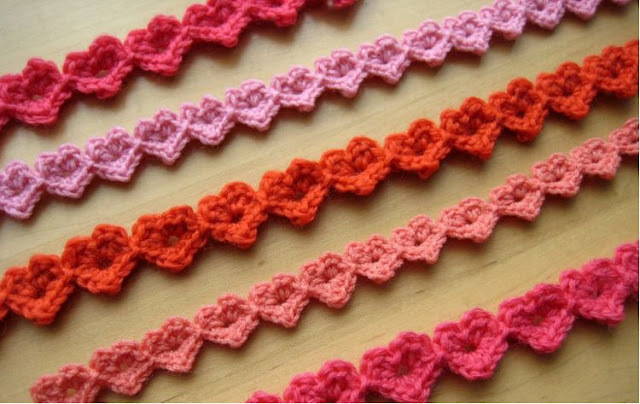 Here are three techniques you can use to crochet hearts: pick the one that suits your needs best! Even though the video is in Russian, it’s not that hard to follow! The looping is fairly uncomplicated, and with a little bit of practice, crocheting this stitch will become second nature! You create more and more hearts on a line until you’re satisfied with the outcome. This video is slightly harder, but the video is in English! You stitch the two halves of the heart around a hole, which forms a wider and perhaps friendlier heart than the run stitching. The hole creates a neat aesthetic and more firmness, making it feel very substantial on any sort of patchwork you add it to. There’s no video tutorial for this one, but Make My Day Creative has an in depth list of instructions and pictures if you would like to stitch strings of cute tiny hearts. It’s a simple pattern but extremely effective! 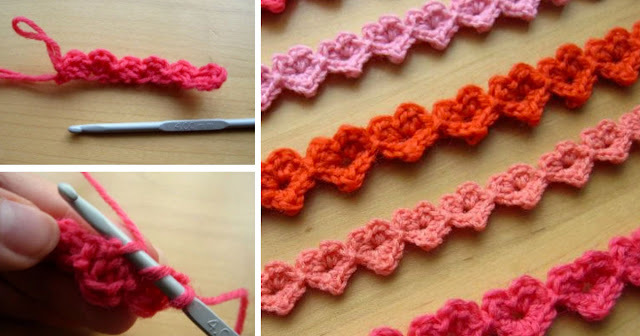 It takes 21 stitches for a five-heart strand: from the third chain stitch, do 2 double crochets, 1 single chain stitch, 1 slip stitch, 1 single chain stitch, and then 2 double crochets. Skip a chain, add 1 slip stitch, skip another chain, and then repeat. At the end, flip it to work on the next row. 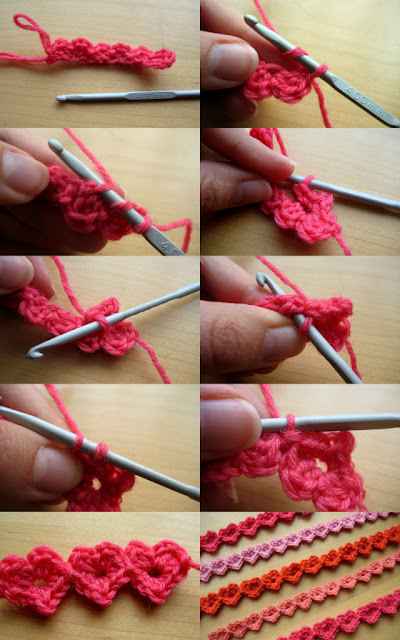 Add 2 half double crochets, 2 single crochets, 1 double crochet, 2 single crochets, and 1 half double crochet to the center of the heart. Slip stitch to the next chain, and then repeat until you reach the end — then weave it closed, loop it, or tie the entire chain around something (a parcel, candle, etc.). 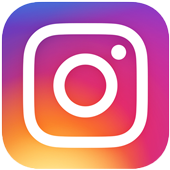 It might seem confusing, but check out the website for more detailed instructions!